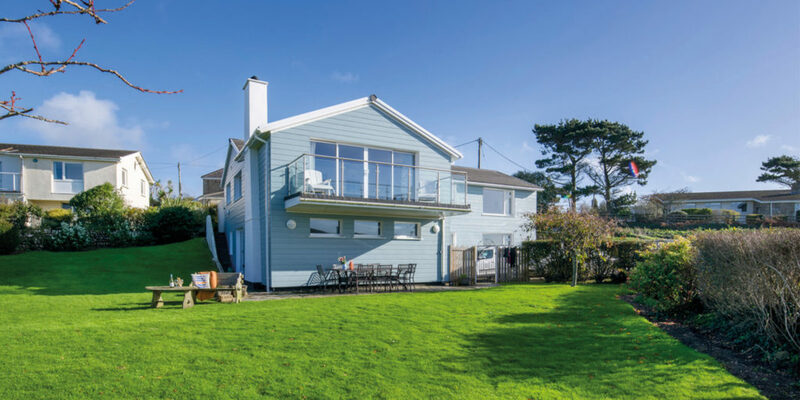 Beautiful stays in Mawgan Porth, Lamorna and Marazion. 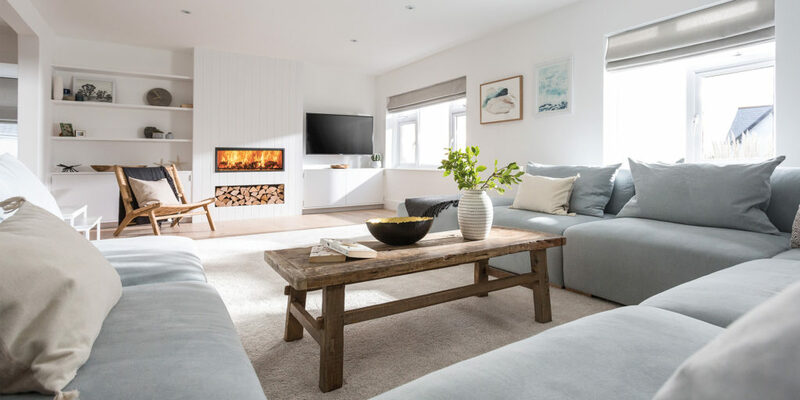 New to Cornish Gems’ collection of luxury holiday homes, Glas Mor is perched above Mawgan Porth beach and has been flawlessly transformed with luxury in mind. 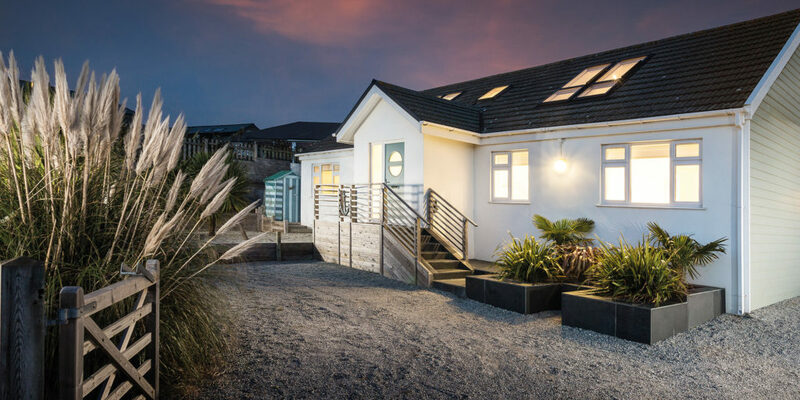 This coastal home offers four bedrooms, four bathrooms and a relaxed open plan layout of social spaces, all styled by local interior designers who have creatively combined the natural hues of the Cornish coast with a pared back Scandinavian twist. The light and airy interiors are accentuated with high ceilings and modern white fittings, the large sofa in the living room sits in front of a contemporary fireplace and is a beautiful space to relax with a glass of wine after a day spent exploring. 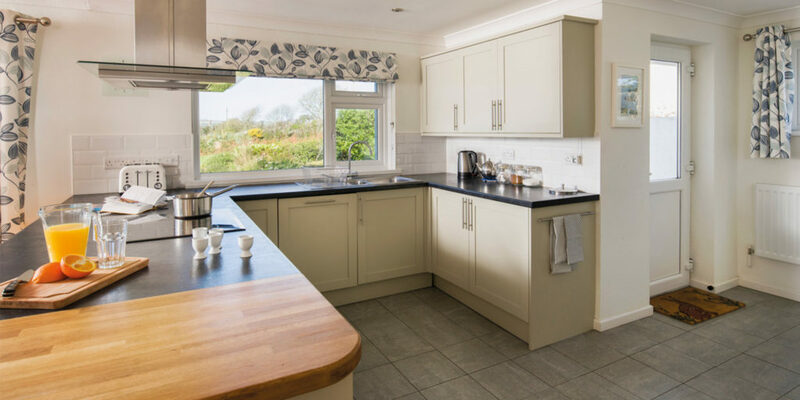 The modern kitchen is kitted out with all you could need to create a mouth-watering menu then map out the holiday itinerary at the dining table and catch up on the day’s adventures. And the generous enclosed outside space wraps around the whole house providing the perfect area for large families with children and dogs, or gatherings with friends, whatever the season. Located in a plum position in Mawgan Porth just three minutes from the golden sands and rolling surf, breathe new life into your walking boots as you head along the South West Coast Path or jump in the car and explore the surrounding area including favourites such as: Watergate Bay, Padstow and Rock, Haryln Bay, Newquay and so much more. step away from the hustle and bustle of everyday life. of the two sumptuous bedrooms. 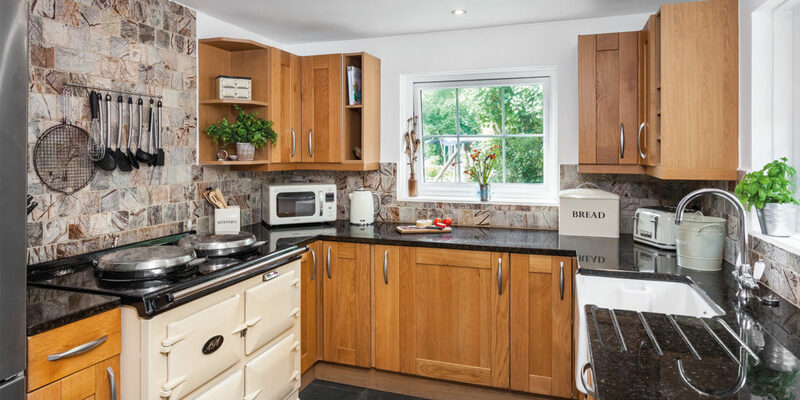 The kitchen has everything you need to cook up a storm using the area’s rich local produce – including an electric Aga – and after a day delving into the local area, you can retreat back to the terraced garden and enjoy your supper in one of its numerous seating areas. 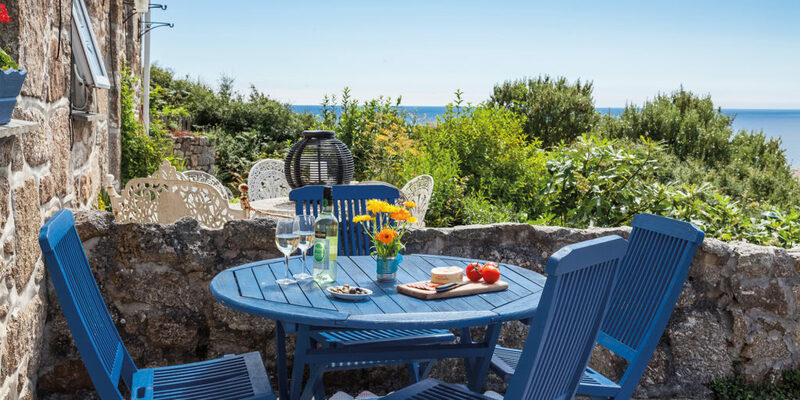 Set in an enviable location, you can don your walking boots or grab your bucket and spade to create your own story book adventures; Piran Cottage is perfectly placed for pure escapism. What’s more, it’s impossible to tire of the captivating views here, views that will inspire artists, writers and explores alike. As you’d expect from a holiday home with this name, the views from this luxurious and large property are simply stunning. 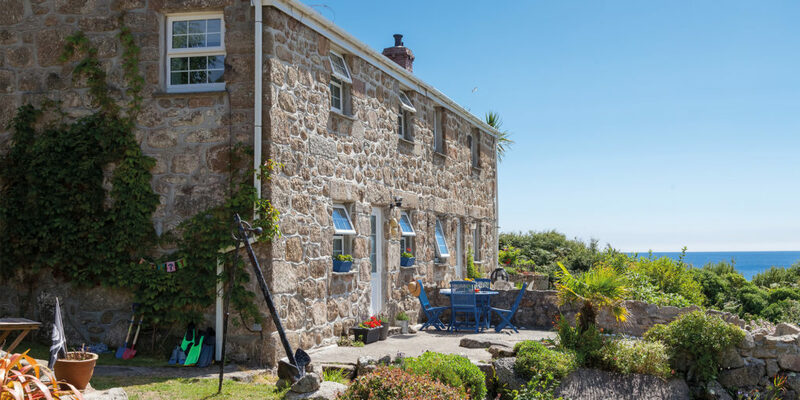 From its position above Marazion you have unparalleled ocean views from the reverse level accommodation over Mount’s Bay and across to the iconic St Michael’s Mount – looking south and west toward the sun as it sets beyond the Penwith peninsula. 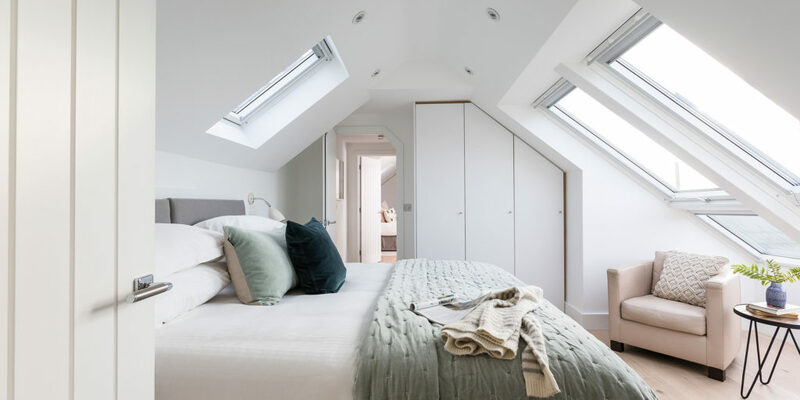 As you step over the threshold you will be met with a large, bright and airy interior with a spectacular open plan kitchen and living space, complete with comfy sofas and stylish soft furnishings. You have six bedrooms here to accommodate the largest of families, and still have room to spare. The lower floor boasts an additional living area, which provides the perfect space for teenagers to entertain themselves away from it all, or even for a second family to utilise. The picturesque old town of Marazion, with its tiny shops, beautiful galleries, great pubs and restaurants is just waiting to be explored, and of course Mount’s Bay beckons with its endless stretch of fine white sand and mythical mount. A large, well-kept garden stretches around the house – ideal for al fresco dining after a long day spent exploring the local area. 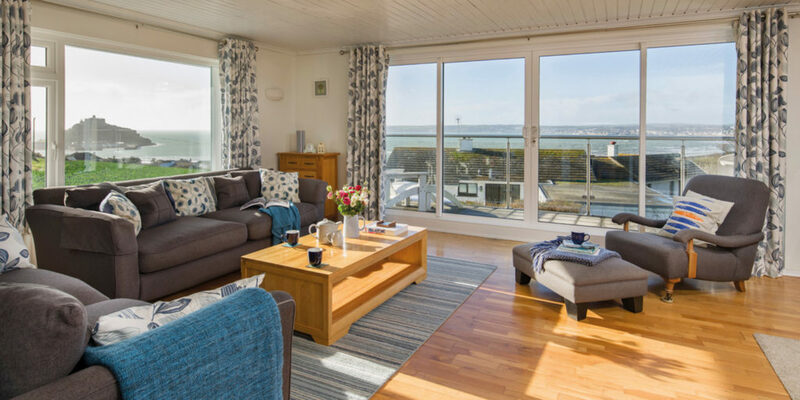 Don’t take our word for it though, make sure to book a stay at The View in Marazion and see for yourself!